Pastor Walter Hawkins passed away on July 11, 2010, at the age of 61 in his home in Ripon, California, after a lengthy battle with pancreatic cancer. Hawkins is one of the most beloved figures in contemporary Gospel Music. In a career that spans over thirty years, he has authored of one of the the most prolific catalogs of recordings and published songs. Over the years we have enjoyed "Jesus Christ Is The Way", "Changed", "Going Up Yonder", "Is There Any Way", "Thank You Lord" and really just too many to even try and name. The wealth of his pen and prose were gifts to us all and he leaves generations of artists and songwriters who are greater at their craft because of him. 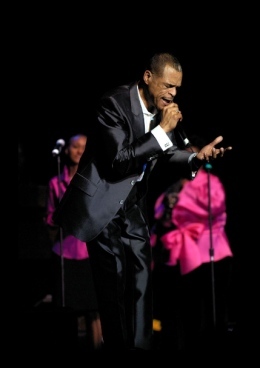 Walter Hawkins has been instrumental by both direct and indirect influence in the careers of many of today's gospel artists including Tramaine Hawkins, John P. Kee, Daryl Coley, Richard Smallwood, Donnie McClurkin and countless others. Condolences are pouring in from all over the gospel music industry about the passing of the legendary Grammy Award winning singer/composer, Walter Hawkins. 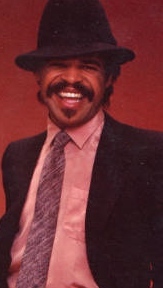 Hawkins, who is known for his million-selling Love Alive albums in the 1970s, died of complications of pancreatic cancer at his home in Ripon, CA on Sunday, July 11, 2010 @ 2:48 a.m. PST. The gospel world is celebrating Hawkins' life and music with tributes and testimonies. Syndicated radio host Steve Harvey talked about Hawkins' passing on his show this morning and platinum recording artist Yolanda Adams devoted all four hours of her syndicated morning radio show to memories of Hawkins and his music. "I broke out into a complete weep," fellow gospel legend Vickie Winans said when she first heard that Hawkins had passed. "I was getting ready to go on stage and somebody sent me a text and that's how I found out. When I was a teenager, I never missed a concert. Everytime, the Hawkins Family came to Detroit, I was right there. They were like the Jackson 5 for me. To get to actually know the Hawkins family and share stages with them was the dream of a lifetime. I loved Walter and his music and he knew that I did. I was such a fan of his writing that I recorded two of his songs "Try Christ" and "I Love You Lord" on my own CD. Walter is like a king to me." Former child gospel star Bryan Wilson looked up to Hawkins too. "Bishop Hawkins was the first major producer that I ever worked with on the Bryan's Songs CD and he really took the time out to work with me and encourage me. I was about 13 and my voice was beginning to change. I was known for doing these Mariah Carey type of notes. So, we had one one session and it was okay. Then, a few weeks later, we did another session and I couldn't reach any of my high notes. I was sitting on the piano bench with my back to Bishop and started to cry. He told me that this happens to everybody who sings and you just learn to adapt. He was like a father figure and a great role model. I will always remember that encouragement he gave me then and recently when he was encouraging me and talking about me going into the studio again." "I loved him," soul singer Candi Staton said. "I loved his music. What a loss. I've known him for thirty years but I've been with him several times over the last two years. We were honored at the Christian Music Hall of Fame together. I always enjoyed being in his presence. I remember we were sitting in a hotel lobby in Dallas, just catching up on old times and he was really an encouragement to me. I will really miss him and I know that everyone else will also. He was one of a kind." "Walter Hawkins was much more than a prolific, timeless singer, songwriter, producer and musician," says Top Ten gospel star Ted Winn. "He was a man of integrity and excellence, one of class and perfection. His voice and songs will resonate with generations for years to come but more importantly his example of how to live life and treat people will be an even greater legacy. He has influenced me from the time I was a child until the time I was able to record and sing with him. I called him a mentor, an example, an icon, but most importantly he was my friend." Another person who came to know him as a friend is pianist Nolan Williams Jr. Having had the opportunity to present him at his last public performance and the Kennedy Center honoring him was monumental for me," says Nolan Williams Jr., artistic director for the National Symphony Sacred Sounds concert at the Kenendy Center this past April. "All of the staff there wanted to honor people who are currently gospel chart toppers, but I pushed for Bishop Hawkins. I know God put his name in my spirit for a reason so that he would know how much he and his music is loved." Another young gospel star who called Hawkins a friend is Jonathan Nelson of "My Name is Victory" fame. "There are probably five people that have influenced my music in a major way and Walter Hawkins is one of those top five. From his lyrical content to the message in every song that he wrote, every song was a hit to me. From 'Follow Me' and 'Goin' Up Yonder' to 'Marvelous', his music is always relevant. It was relevant when he wrote it and it's relevant today. He embodied the magic of gospel music." "The Journey of a TRUE Psalmist! When we think about a psalmist, our minds immediately fix on King David, who was and is for all of us the perfect visual image of who and what a psalmist is. Someone called, anointed and appointed to do a special ministry (music) for God. David began his journey as a shepherd (Hebrew) boy. Bishop Hawkins was a part of the "Hebrew Boys". David was chosen out of his entire house and kindred by God to do the work he was called to do. Bishop Hawkins was also chosen out of his entire house and kindred to do the work God had called him to do! Then, the prophet of God, whom God had called anointed David with the oil God had purposed for his (and only his) life...and so too, God anointed Bishop Hawkins with the oil that was for his (and only his) life! David's journey to his final destination was filled with a tremendous amount of pain and suffering, as well as a tremendous amount of victories and defeats. I know that Bishop Hawkins journey was likewise mirrored to that of David. However, because they were traveling on the road that God himself had preordained for them to travel, the ultimate destination was sure and certain victory in Jesus! For David, it amounted to escaping death numerous times and ultimately becoming the King. For Bishop Hawkins it was escaping the perils that presented themselves and becoming Pastor and Bishop. Though David became King, he continued in his calling as a Psalmist, and though Bishop Hawkins became Pastor and Bishop, he also continued in his calling as a Psalmist. How can a Psalmist turn off the music or block out the melodies that permeate their very soul! It is, in fact impossible. And that is why as I listened to Bishop Hawkins share his testimony and begin to minister in song, his own composition "Marvelous" that I was given this reflection to share. I pray that it will bless and uplift the people of God who were richly blessed, encouraged and uplifted by the "MARVELOUS" Psalmistry of the "LATE BISHOP WALTER HAWKINS"!!!"  Minister Malcolm Speed. Find it hard to keep track of all the Walter Hawkins albums that are out there? Get mixed up between Love Alive III, Take Courage and Love Alive II? Not sure what labels he was on? Sort all that out by checking with our exhaustive discography of Walter Hawkins albums, complete with trivia and album covers to guide you. 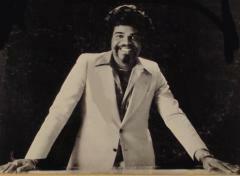 See full Discography of Walter Hawkins. "Bishop Walter Hawkins will be truly missed by many. He has left an indelible mark on the Gospel Music Industry. His legacy will live on and he will be remembered as a pioneer of Gospel Music".  Bishop Paul S.Morton, Sr. Columnist Gregory Gay pays tribute to Walter Hawkins in this 2007 column. See full Tribute to Walter Hawkins (2007).